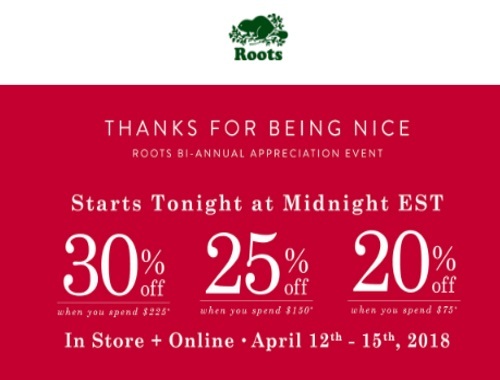 Roots has their Bi-Annual Appreciation Event on now! Save up to 30% off your order! Offer is valid in-store and online April 12-15, 2018. Click here to browse Roots Canada.